Canada’s prime minister-designate Justin Trudeau and his family won’t be moving into 24 Sussex Drive anytime soon — the historic home is in need of $10 million in structural repairs. Instead, the Trudeaus will be taking up residence at Rideau Cottage, 22-bedroom Georgian Revival which formerly housed the private secretary to the Governor General, Stephen Wallace. Helping people research and find new homes is what we do here at BuzzBuzzHome, so we’ve taken it upon ourselves to select some new digs for Mr. Wallace. 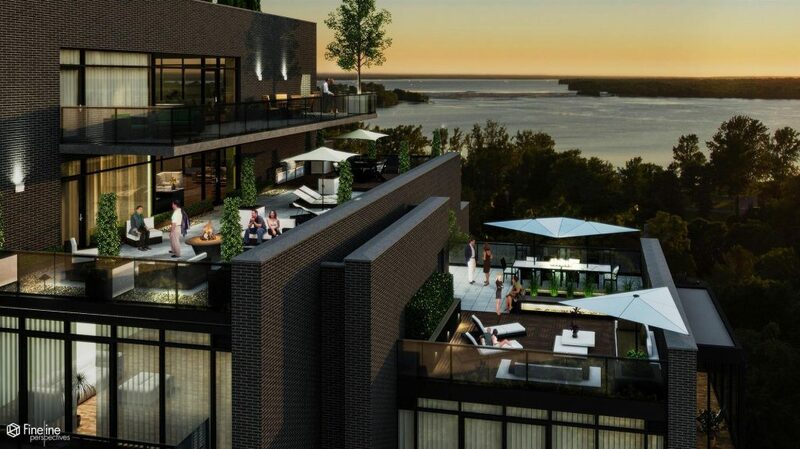 The Azure is a brand new condominium residence, situated along the Ottawa River in the suburb of Westboro. 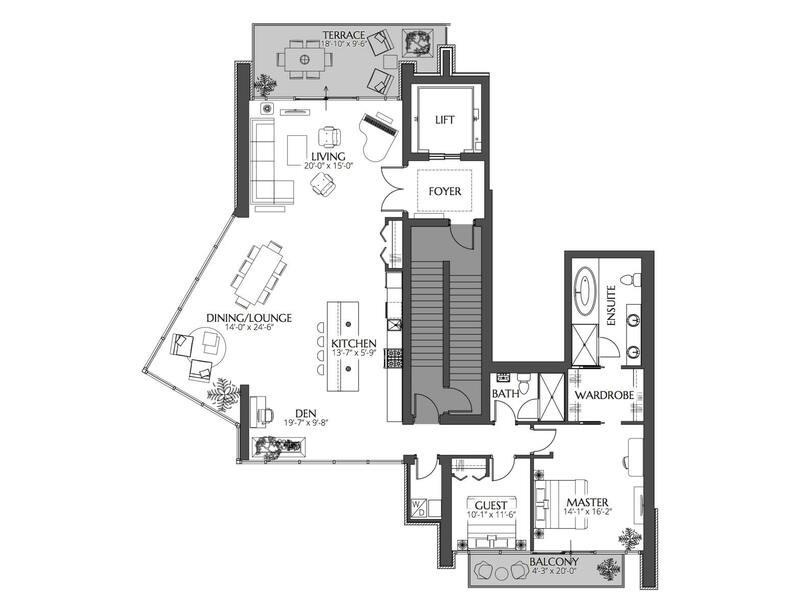 The Amaya, one of the building’s two penthouses, features a private elevator lobby, two bedrooms, two bathrooms and a corner den. An open-concept kitchen, living and dining area defines the suite, giving it a bright and airy feel. There’s a large kitchen island with natural stone countertops that allows for ample seating. 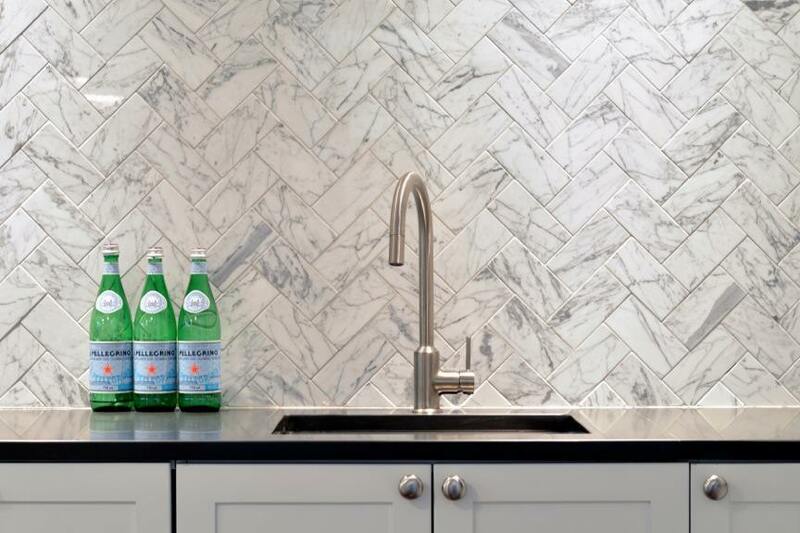 Contemporary cabinetry, stainless steel appliances and a ceramic backsplash help to complete the look. Highlight: The panoramic views of the Ottawa River.